Courtesy of Coldwell Banker Res Brokerage, Geoffrey Mao. Rare opportunity to own approx 300 acres. First parcel has a multi-level 4,000+ ESF, 5 Bed/2.5 Bath House with 2 living rooms, 2 offices, 2 basements, balconies and a pool. 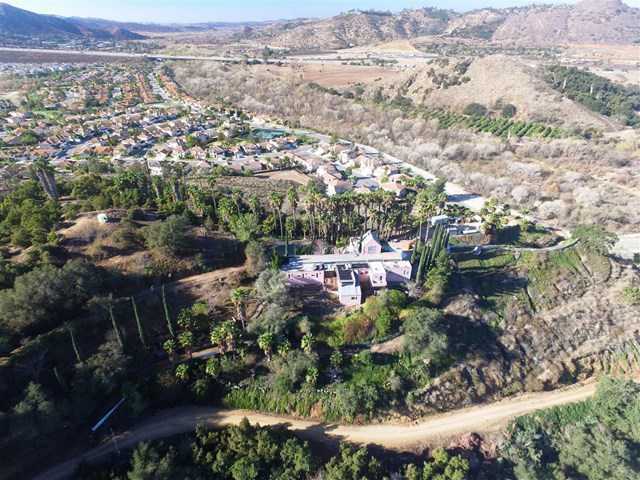 This unique custom home is located on a hilltop and has incredible views of the mountains, citrus groves, apple orchards, avocados and more. The other parcels are elevated mountain terrain with views of the Pacific. 4 adjacent parcels to be sold together: 125-100-05-00, 128-070-01-00 & 128-010-09-00 & 125-063-06-00.